Mutual funds normally have different share classes that investors can purchase. Some of these classes are differentiated by the load -- or upfront sales charge -- and annual fees that investors must pay. Others are differentiated by who can purchase them or how they can purchase them. T shares are one of the less common types and are used by different fund companies for different purposes. The most common types of mutual fund shares are A, B and C classes. A shares are the most common and usually charge an upfront load when shares are purchased. In contrast, B shares usually charge their load when the shares are sold, and C shares may charge a small load or no load but have higher annual fees. Mutual fund companies can offer shares with just about any letter class, such as I shares for institutional investors or Z shares for the company's own employees. Some T shares are similar to C shares, according to Bankrate.com, in that they may have little or no load but higher annual fees. This makes these types of shares more appropriate for short-term investors, since the longer an investor owns them, the more she pays in fees. Thus the designation as T shares may merely serve to distinguish a particular set of fee rules from those that apply to the more common C shares. The Janus mutual fund company uses its T class in a different way, after a 2009 reorganization of its funds and shares. At Janus, the T shares represent an equivalent to the company's most common shares -- but sold through a third party, such as another investment company. The company's D shares are its most common shares and represent the class sold directly by Janus. If you want to invest in a Janus fund and contact Janus directly, you would purchase D shares; if you want to invest in a Janus fund through another management company, such as Oppenheimer or Fidelity, you would purchase T shares. What Disadvantages Do Small Investors Face When Investing in the Stock Market? 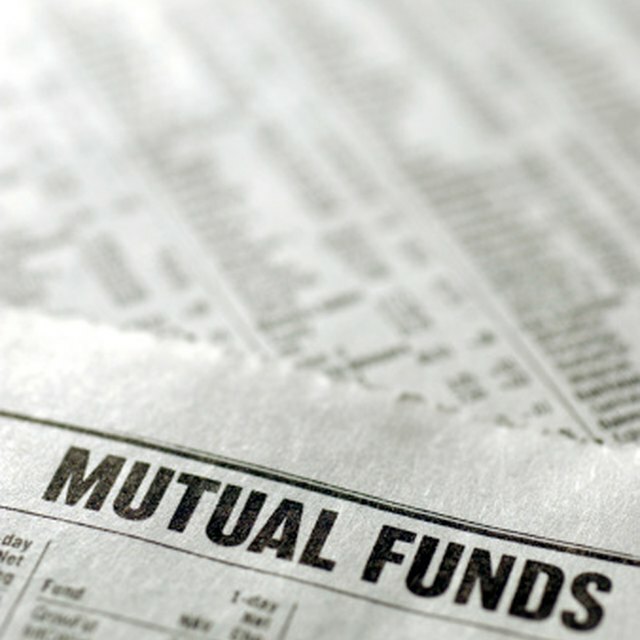 What Is a Y Class Mutual Fund? What Does the Fifth Letter of a Stock Symbol Mean? John Hancock also uses its T class for a specific purpose related to a reorganization. When the John Hancock Technology Fund became the John Hancock Rainier Growth Fund, shareholders in the Technology Fund received T shares in the Rainier Fund. These shares have both a front-end load and an annual fee. This distinguishes former shareholders in the Technology Fund from later investors in the Rainier Fund. John Hancock Funds: Who Can Buy T Shares? CNN Money: What's Up With Share Class?